The Turbo Copter (7363) is a great back pack helicopter, first issued in 1972. Not the the silver detailing on the side of the box art below, apparently a paint application that was eliminated before production as a cost saving measure. The box shown below is a Canadian issue version, identical to the US issue except for the inclusion of instruction in both French and English and a sticker to that effect added to the front of the package. 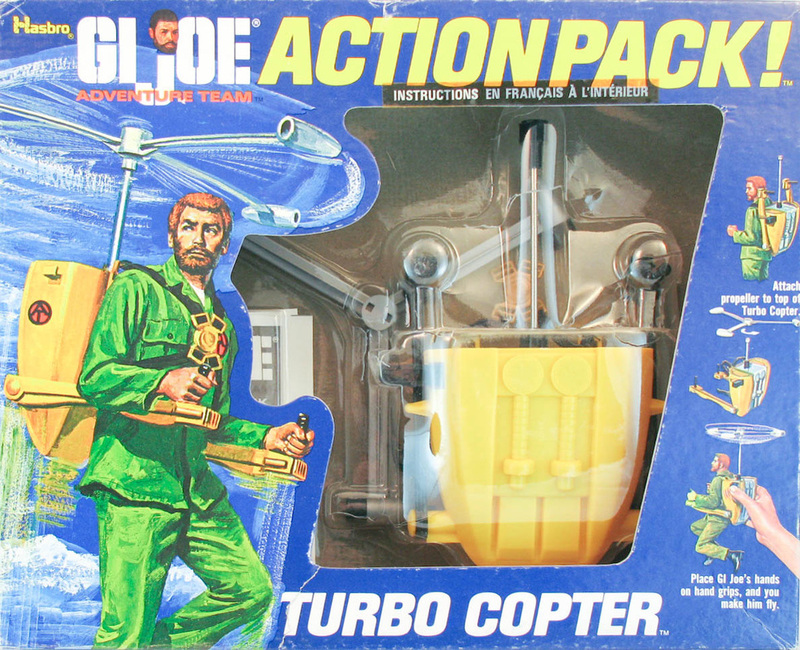 The Turbo Copter was reissued in black for the Black Widow Rendezvous set, and was also sold in green by a number of international licensees.